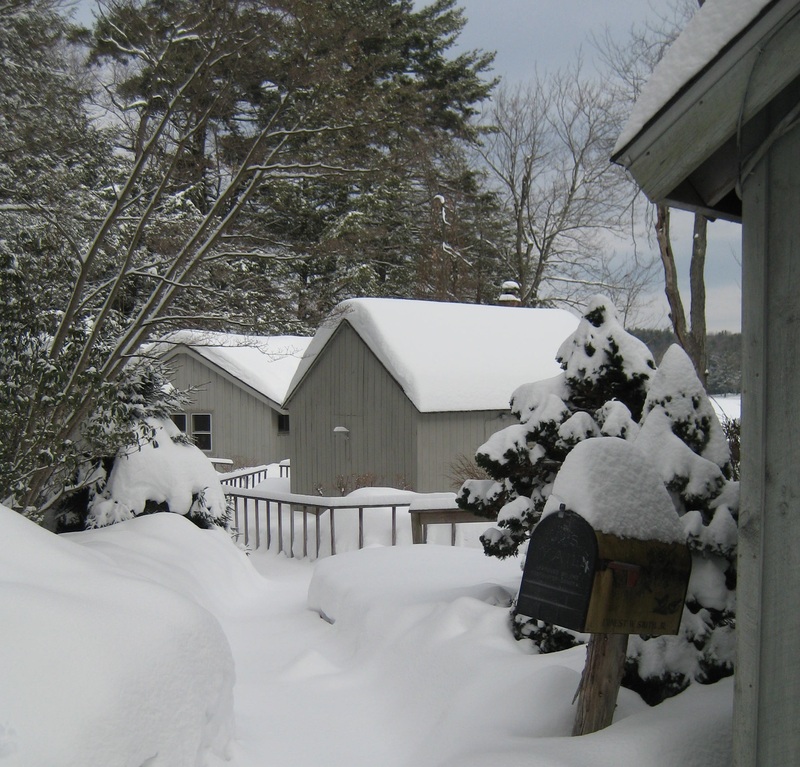 I took this picture yesterday before shoveling and working in the shop at Hartland Pond. It was a really mild day, so I was happy to have an excuse to be outside. Hopefully all these snow storms follow us to Montana in a few weeks to change the color on the map (link) from green to blue… or even better – they get there before us, and hang around until after we’ve gone! 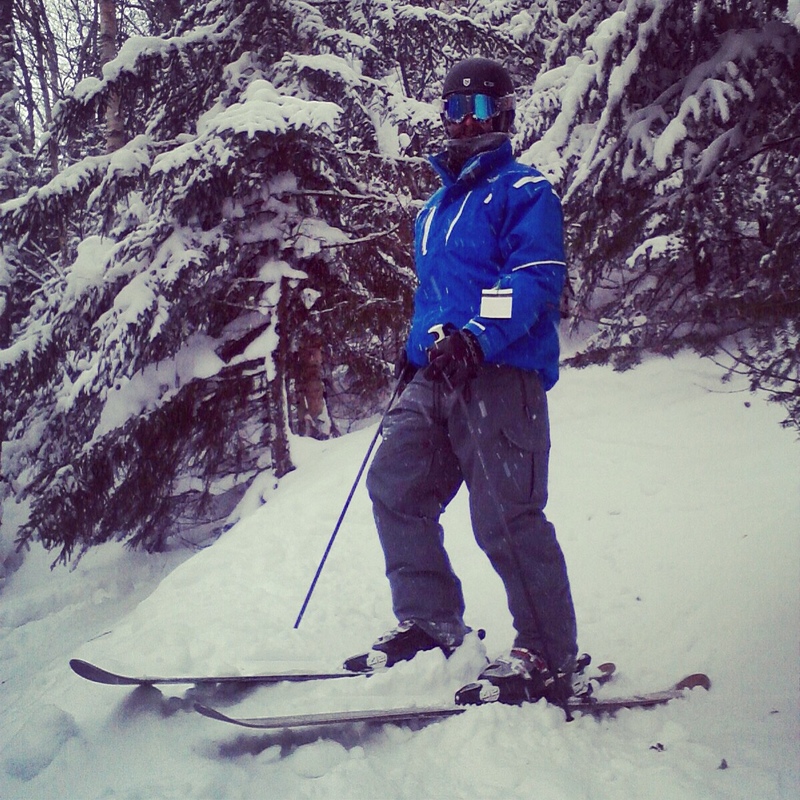 For the second Valentine’s Day in a row, we skied at Mad River Glen and Sugarbush. 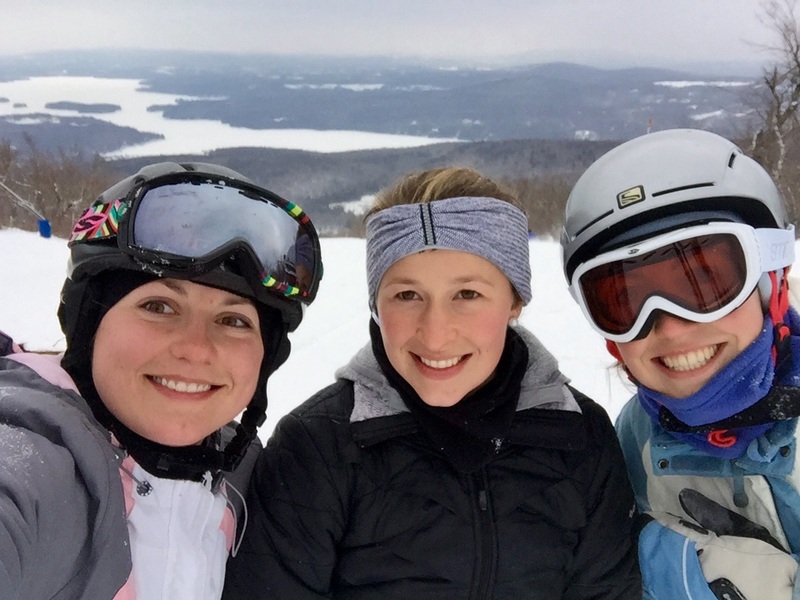 This year, you even found a Sugarbush patch to add to your ski bag. 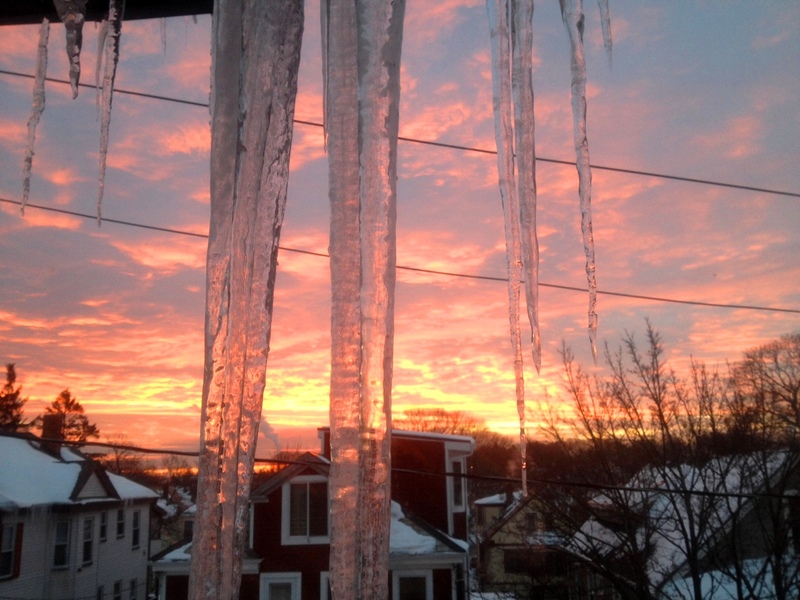 It was certainly cold; the worst was Sunday, when it was -7°F, with a wind chill of -31°F. We still made it through the day with only one extra break to warm up! It was certainly a chilly weekend! 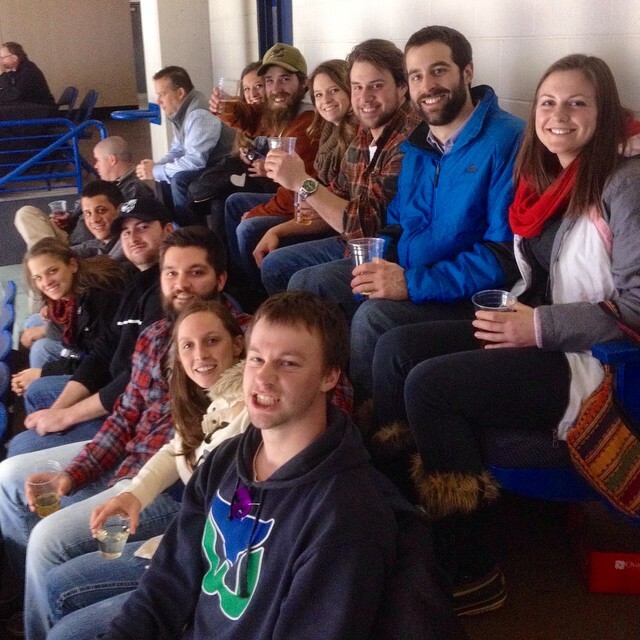 Watching the Wolfpack hockey game in Hartford with your pals was great fun, especially with those dollar hot dogs! Yum!